J. Walter Thompson’s long-standing APAC CEO Tom Doctoroff, who has spent 24 years with the agency including 22 years in Asia, has moved on from the role, passing on the mandate to John Gutteridge. Doctroff is moving back to the U.S to pursue a new opportunity, which he will announce in due course. Gutteridge will work out of the network’s APAC office in Singapore, in his role as regional CEO. The appointment is part of a long-term succession plan mapped out over the last year by Doctoroff and Gutteridge, who serves as the J. Walter Thompson’s Australia & New Zealand CEO, and sits on the network’s Asia Pacific executive committee. Doctoroff, who started the Asia leg of his career in Hong Kong in 1994, became MD of J. Walter Thompson Shanghai in 1998. He was appointed Asia Pacific CEO in 2013. “After so long in Asia, a culture I have fallen in love with, it is time to go home and pursue the next chapter in my life,” said Doctoroff. “I feel confident that I’m leaving a team and region I care deeply about in good hands. John has a proven ability to unify people around a clear philosophy that puts everyone on the same path to the same goal. That’s a quality that is going to resonate well with staff and clients across the Asia Pacific region,” he said. 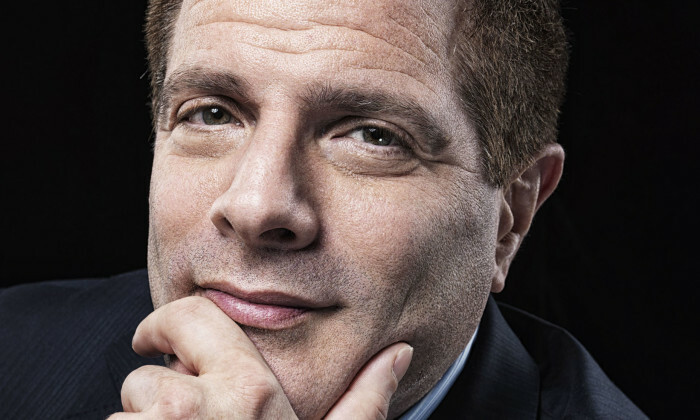 “Doctoroff’s indefatigable passion for building domestic and global brands, and his expertise on China has set him, as a business leader, and our agency, apart in this critical, high-growth market. He has left a real legacy of robust growth and thought leadership, not just in China but across Asia, for our network as a whole,” Tamara Ingram, J. Walter Thompson Worldwide CEO said. “I am confident John will build on that momentum. He is a strategic thinker and a decisive leader who injects a very infectious energy and passion into everything he does,” Ingram added. Gutteridge began his career with J. Walter Thompson in the UK and ascended rapidly through the management ranks. In 2004, at the age of 30, he became managing director of J. Walter Thompson New Zealand; four years later was appointed managing director of J. Walter Thompson Melbourne, and in 2011 promoted to CEO of Australia and New Zealand. “Doctoroff has been an inspiration to many, and I admire the sense of community he’s worked hard to create across such a diverse group of countries. I’m looking forward to working with our leadership team to ensure we deliver a future focused model with a best in class product,” Gutteridge added. The development partners intend to leverage each other's individual strengths, capabilities and resources to enhance the platform'..